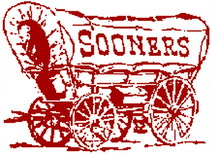 Way to bring out the old school OU logo! The game was awesome... I didn't even mind getting up at 3 a.m. for the game.